Collagen is essential in the formation of hair, skin, and nails. When any of these parts of the body seem to suffer, increasing collagen production may be the answer. 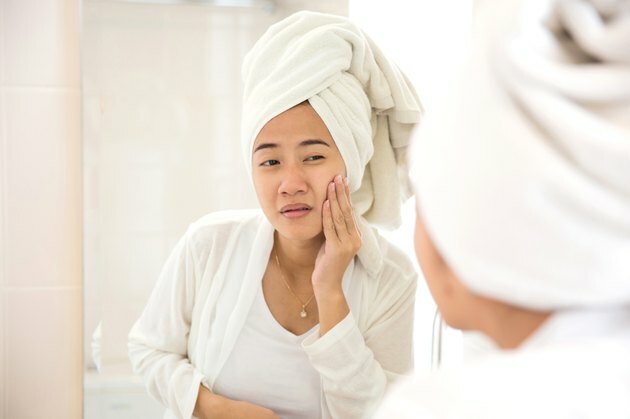 Though many skin creams and hair cleansers contain vitamins and minerals that can help with exterior collagen production, supplementing with these nutrients internally may provide more long term benefits. Nutrients linked with collagen production include vitamin C, zinc, and the herb calendula. Before supplementing with any of these nutrients, consult your healthcare provider to determine if this is necessary. Side effects can occur from too much supplementation. Vitamin C may be the most important vitamin for producing more collagen in the body. According to the Linus Pauling Institute at Oregon State University, vitamin C is required for the synthesis of collagen, which creates the structure of blood vessels, tendons, ligaments, and bone. The body would literally fall apart without the action vitamin C on collagen. The body does not produce its own vitamin C, so it must be obtained through diet. Diets low in fresh fruits and vegetables may not contain enough vitamin C to properly synthesize collagen. Check with your doctor before supplementing with vitamin C.
Zinc is another nutrient that may help with increased collagen production. Winifred Conkling, in her book, "The Complete Guide to Vitamins, Herbs, and Supplements," notes that zinc helps produce collagen, and this builds tissue in the body. Food sources of zinc include chicken, beans, nuts, meat, and oysters. Too much zinc can cause side effects such as cramping and diarrhea, so before supplementing, contact a qualified healthcare practitioner to determine current zinc levels in the body. The herb calendula is also purported to help with collagen production. Authors Deborah Mitchell and Hunter Yost, in their book, "A Woman's Guide to Vitamins, Herbs, and Supplements," write that calendula is anti-inflammatory, antibacterial, increases blood flow to damaged areas of the body, and it produces collagen proteins. This aids in healing the skin. Similar to vitamins, consult a healthcare practitioner trained in herbs before supplementing with calendula.